>http://rcm.amazon.com/e/cm?t=stonehengetours-21&o=1&p=8&l=bpl&asins=0319228622&fc1=000000&IS2=1&lt1=_blank&m=amazon&lc1=0000FF&bc1=000000&bg1=FFFFFF&f=ifrA walk to Lidbury Camp, led by former County Archaeologist Roy Canham. http://rcm.amazon.com/e/cm?t=stonehengetours-21&o=1&p=8&l=bpl&asins=0946418721&fc1=000000&IS2=1&lt1=_blank&m=amazon&lc1=0000FF&bc1=000000&bg1=FFFFFF&f=ifrWeather conditions on the Salisbury Plain downland are unpredictable and can change quickly at this time of year. Please come prepared with waterproof clothing and suitable footwear. The walk will be about 3 miles. 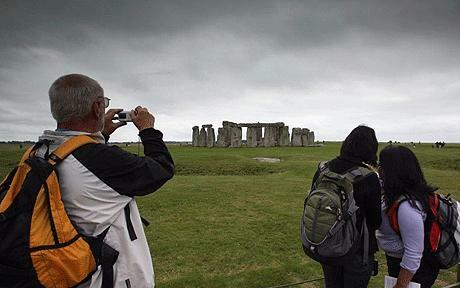 Our friends at the Stonehenge Tour Company have just announced their 2011 Summer Solstice Tour. See itinerary below. Works out cheaper and far less hassle if you are travelling from London. See link at bottom of page. Needless to say there are limited spaces on this tour – a rare opportunity! >Snow and ice failed to stop people visiting Stonehenge to watch the sunrise on the winter solstice. Serving soldier of 15 years Lance Corporal Paul Thomas, who fought in Iraq, was “knighted” with a sword by senior druid King Arthur Pendragon. He also performed a handfasting – a pagan marriage ceremony – inside the stones. The shortest day of the year often falls on December 21, but this year the druid and pagan community marked the first day of winter on 22 December because the modern calendar of 365 days a year – with an extra day every four years – does not correspond exactly to the solar year of 365.2422 days. Peter Carson of English Heritage said: “Despite the cold weather, over 2,000 people attended and it was a cheerful and peaceful atmosphere. 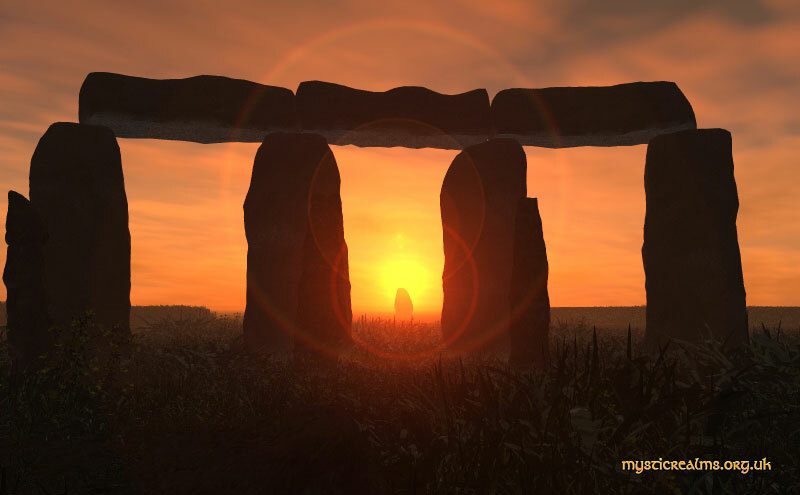 “The popularity of the winter solstice has grown over the years as more is known about Stonehenge and the winter solstice and the whole celebration has grown in popularity,” he said. Booysen, 66, said this week she examined various ancient structures to prove her theory, including the Chichen Itza Pyramid in Mexico and the world’s largest stone circle, The Great Circle at Avebury, in Wiltshire, England. Stonehenge Special Access Visits – Key Facts– Special Access visits are available most but not all months of the year, (no visits in October and November and are not available on around the midsummer’s day). – Demand for tickets far exceeds supply, dates are often sold out months in advance. Do not expect to get tickets without ordering well in advance. – Special access visits take place at quite unsociable hours, commonly between 05:30 and 08:00 in the morning and after 18:30 in the evening. 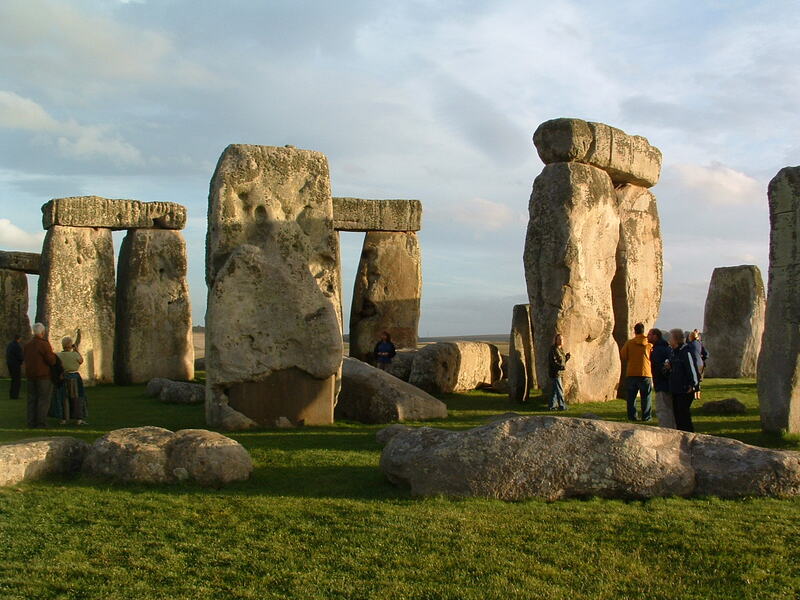 – Factor in that its almost 2 hours traveling time between London hotels and Stonehenge and you can see such a visit entails a very early start or late finish for those based In London. – The only people there apart from a maximum of 26 Special Access ticket holders are a few security guards who will not provide any information about Stonehenge. They are just there to make sure you get up to no mischief. However, its still a very early start or a late return to London and these companies cannot get enough tickets for their needs. As a result dates are very sporadic. Most days there will not be a tour running and they will normally sell out well in advance on those days the tour runs – don’t leave it until you arrive in London or you will be disappointed. >A total lunar eclipse will take place on December 20/21, 2010 Sadly it will not be visible oin Britain? It will be visible after midnight Eastern Standard Time on December 21 in North and South America. The beginning of the total eclipse will be visible from northern Europe just before sunrise. The end of the total eclipse will be visible rising at sunset for Japan and northeastern Asia, it also appears very visible to the Philippines just after sunset (as in Partial lunar eclipse). It will be the first total lunar eclipse in nearly 3 years, the last being on February 20, 2008.